Contribution to art in the community! Please consider becoming a MAFAC member. Your tax deductible donation is a positive expression of your support for the arts in our community. Your generous gift does make a difference. 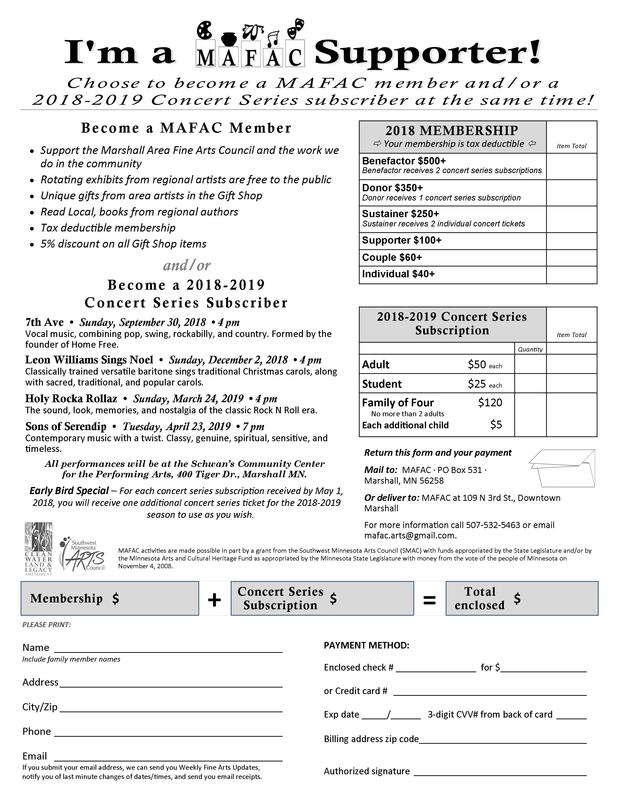 ​2018 Membership and 2018-2019 Concert Series Flyers.